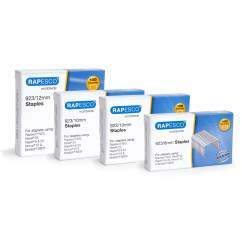 Less effort heavy duty stapler from Rapesco. Stylish, practical and making short work of large stapling jobs, the X5-90ps is a great addition for any office. This ECO model is manufactured using recycled plastic. 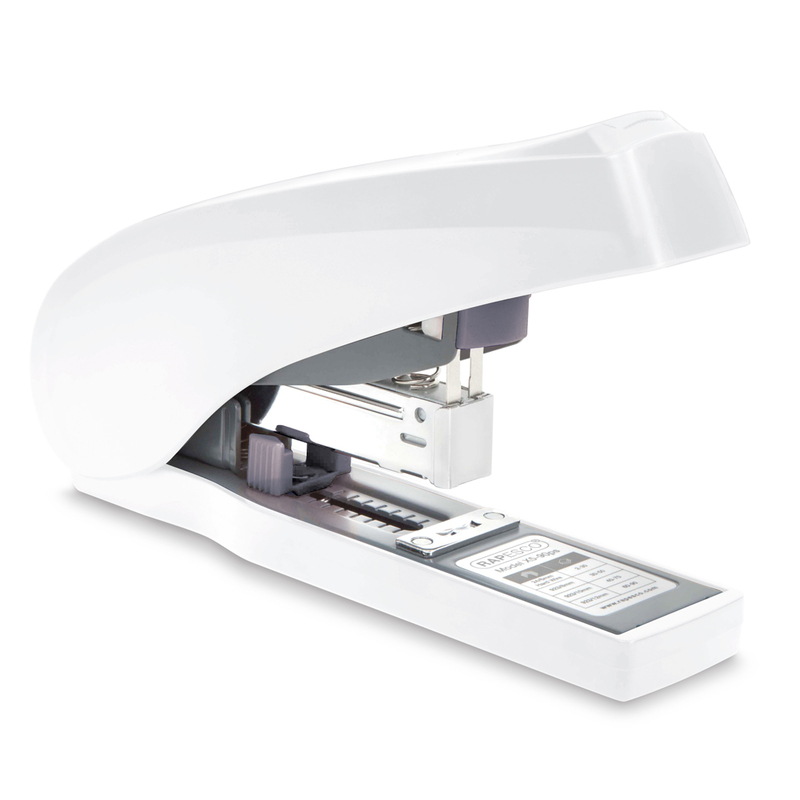 Stapling up to 90 sheets (80gsm) with the lightest of touches, the X5-90ps boasts easy, top-loading half strip staple capacity. 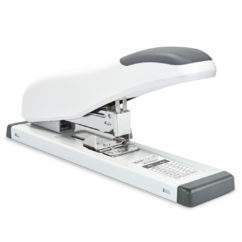 A durable and hardworking stapler with a solid structure and all-metal chassis. 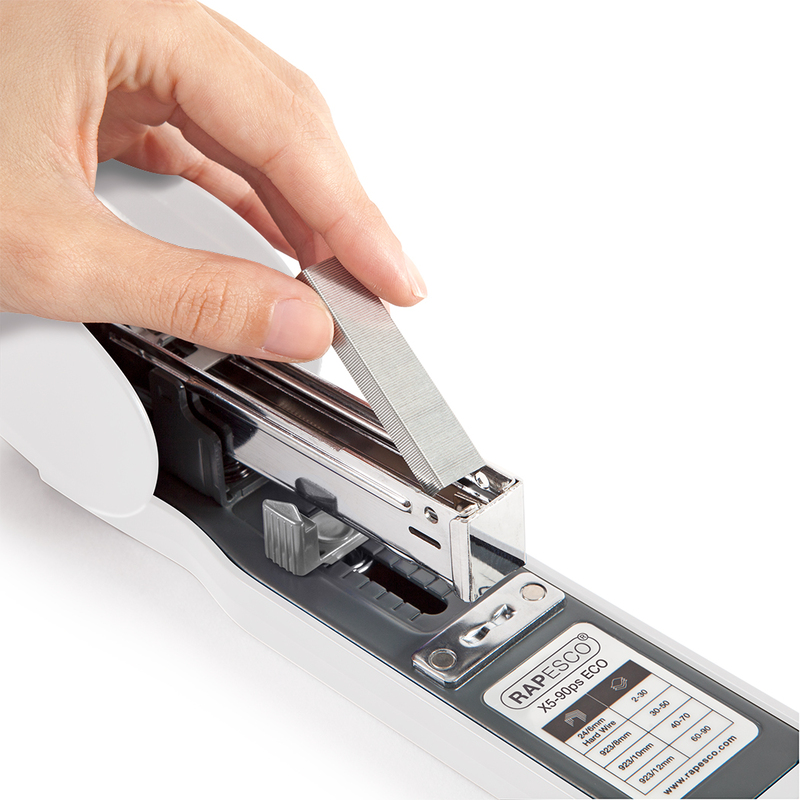 This innovative stapler features a paper / margin edge guide which can also be used to clear staples in the unlikely event of a jam. 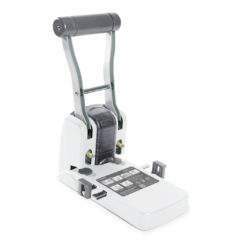 Forming part of our Less Effort range of Staplers and Hole Punches – the X5-90ps’ clever engineering and design ensures maximum stapling power for minimal user effort – up to 60% less stapling effort is required. Handling large stapling tasks with ease, this Less Effort Stapler will deliver results beyond the capabilities of most other manufacturers. 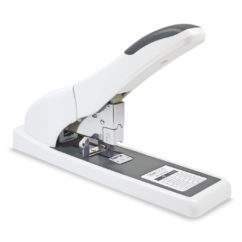 Firing Rapesco 923/8-12mm staples or – for optimum performance up to 20 sheets – our 24/6mm Extra Strong staples, this stapler is built to deliver outstanding results time and time again and is backed by our 15 year Guarantee.